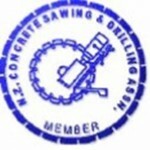 Sharp Concrete Cutters and Drillers Ltd hold long term membership in both national and international concrete sawing and drilling associations. Why should I use a member concrete cutter and driller? Not all concrete cutters and drillers meet the criteria to become members of professional organisations! To be members, a concrete cutter needs to show they are committed to customers and to their business. Qualifying members are made up of the best companies in the concrete cutting and drilling industry. The advantages of using a qualifying member for all your concrete cutting and drilling is you have an industry professional working for you. Association members are committed to a code of ethics, a code of practice, and an environmental policy as outlined by the New Zealand Concrete Sawing and Drilling Association. 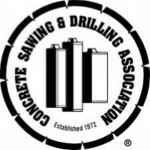 We are proud members of both national and international concrete sawing and drilling organizations.